The City of Shoreline is excited to announce Lamont Thomas, Shoreline’s “Running Man”, will be giving a brief talk at the closing event of Shoreline’s Million Step Challenge on Saturday, June 2. The free public event is a potluck and awards presentation to celebrate the accomplishments of the community as it ends the month long Million Step Challenge walking competition. It will take place at 6:30pm at Paramount School Park, 15300 8th Ave NE. Lamont Thomas has served as a beacon of inspiration for years. Most recently, he co-authored an autobiography with Ashley M. Graham. 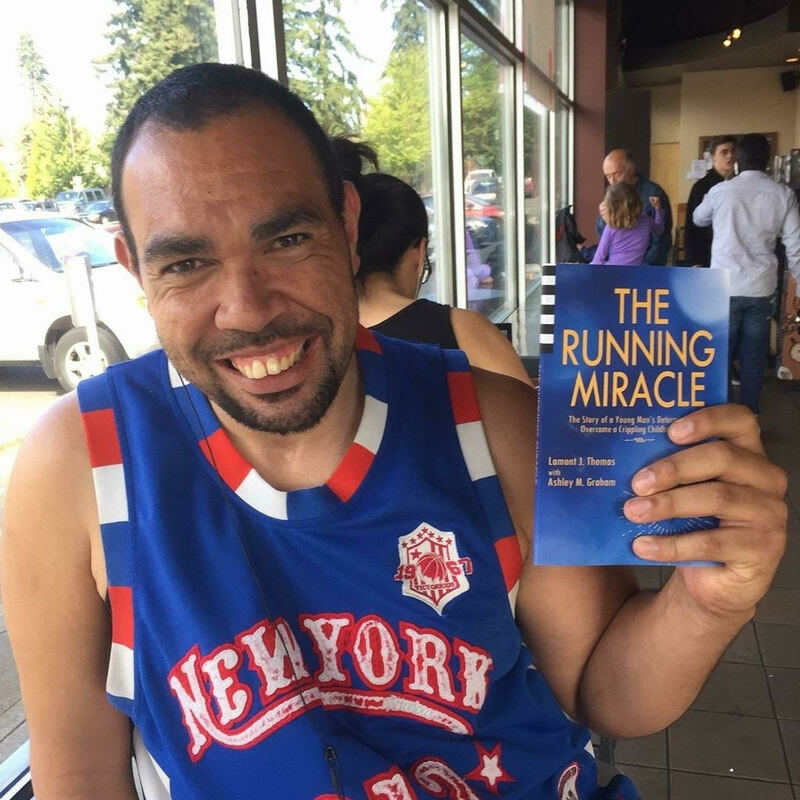 The book chronicles the childhood car accident that left him partially paralyzed and his journey to rehabilitate himself back to walking and eventually running 80 miles per week. Lamont will join participants and their family members to share his incredible story of determination and perhaps lend a little strength to others who need it as well. More information about Shoreline’s Million Step Challenge and the closing event HERE or contact Recreation Specialist Marianne Johnson at 206-801-2638 or mjohnson@shorelinewa.gov. The whole community is invited to a potluck in celebration of Million Step Challenge. Special guest Lamont Thomas will be at the event to share his inspirational story about overcoming physical disability and becoming Shoreline's most popular runner. He recently published a book about his journey and accomplishment. Prizes will be awarded for participants and our winners. Bring a potluck dish to share. Beverages, plates and utensils provided.